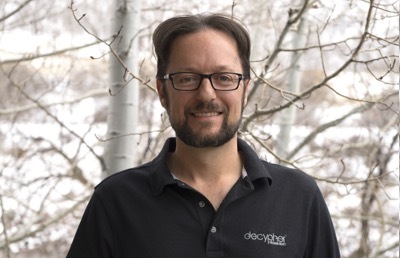 Farr Shepherd founded Decypher Technologies in 2003 to provide the best technical solutions and client service to the Rocky Mountain region. Over 15 years later, Decypher has grown to serve diverse clients nationwide, with over 40 employees and four locations. Farr Shepherd holds a Bachelor of Business degree in Management and Management Information Systems. He has over 18 years of experience in Information Technology, and over 15 years of experience in the AV integration field. 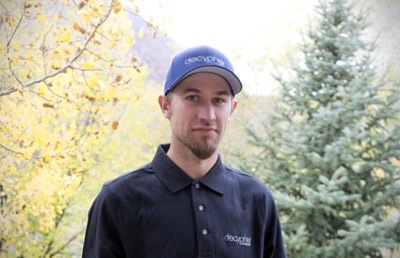 Farr built the Decypher brand to become the largest IT Technical Services Company in the Colorado Rockies. 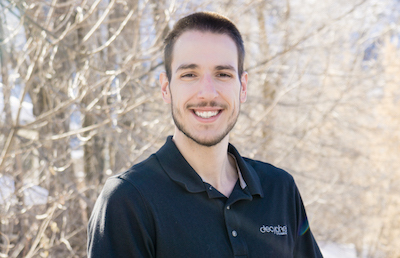 He has also served on an executive team for one of Colorado’s largest technology companies. He has a love of networking, which has been enhanced by the complexities of working in the Luxury residential industry, allowing him to deploy unique networks in exceptional luxury environments. Mick has over 18 years of experience in Information Technology. He specializes in Cisco networking and wireless. Mick loves to build networks that work and troubleshoot the ones that don’t. When he’s not at work, you’ll find him riding the powder around Aspen’s four mountains with anyone who enjoys the same. 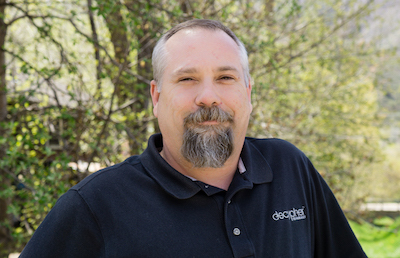 With over 20 years of business leadership experience, Michael joined the Decypher team to oversee IT operations. 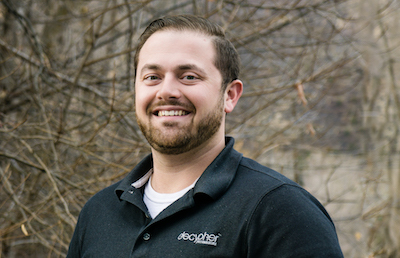 Michael’s diverse technology background in IT, AV, alarms, and mechanical helps to bridge the gap between Decypher’s different areas of focus. His passion for providing excellent customer service through process has contributed to the Help Desk team’s high customer satisfaction ratings. jobs (at) decyphertech (dot) com. Our team is looking for an experienced field and remote support technician to work in our Glenwood Springs office with no less than five years of experience to join us as a Tier 2 Technician. The ideal candidate would have worked in a similar work environment, have experience in customer service and possess excellent customer relationship skills. Strong communication skills and attention to detail are a must. Candidates should poses experience in networking, OS X and all Windows platforms. Experience with a PSA such as Connectwise Manage and an RMM tools such as Connectwise Automate (Labtech) are a plus. Certifications are not required but Network +, CCNA and Microsoft certifications will be given more weight in the interview process. -Firewalls preferably Cisco ASA and Meraki. Ability to independently troubleshoot and resolve a wide range of issues from application support to complex server and infrastructure issues. Customer service skills required. This skill is as important as your IT knowledge. Must be self-motivated, detail oriented, high energy, and able to work with minimal supervision. Apple IOS and OSX experience a plus. Previous experience at an MSP is a plus. Must be willing to submit to a background and credit check. Full on-the-job training & support. If you think you have what it takes to be a Tier 2 Technician at Decypher, contact us today! Send a cover letter and resume to jobs (at) decyphertech (dot) com. The Tier 1 Technician will provide technical assistance to computer users and answer questions or resolve computer problems for clients in person, or via telephone or electronically. This role may provide assistance concerning the use of computer hardware and software, including printing, installation, word processing, electronic mail, and operating systems. Knowledge of transmission, broadcasting, switching, control and operation of telecommunications systems. Knowledge of administrative and clerical procedures and systems, such as word processing, managing files and records, technical writing, designing forms, and other office procedures and terminology. If you think you have what it takes to be a Tier 1 Support Technician at Decypher, contact us today! Send a cover letter and resume to jobs (at) decyphertech (dot) com.